Symphotic TII Corporation's expanded product line now includes products specially designed for exploring, viewing, measuring and characterizing the physical and chemical makeup of our world. Many of our most popular products are designed for access to hostile environments. We also carry lasers for optical research and instrumentation. 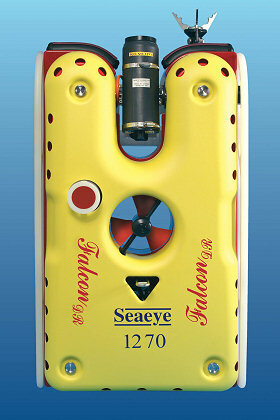 Symphotic TII Corporation is the North American distributor and service center for Saab Seaeye ROV systems. From compact portable ROVs for research and inspection to workclass ROVs, take a closer look at your most challenging underwater tasks with our ROVs from Saab Seaeye. 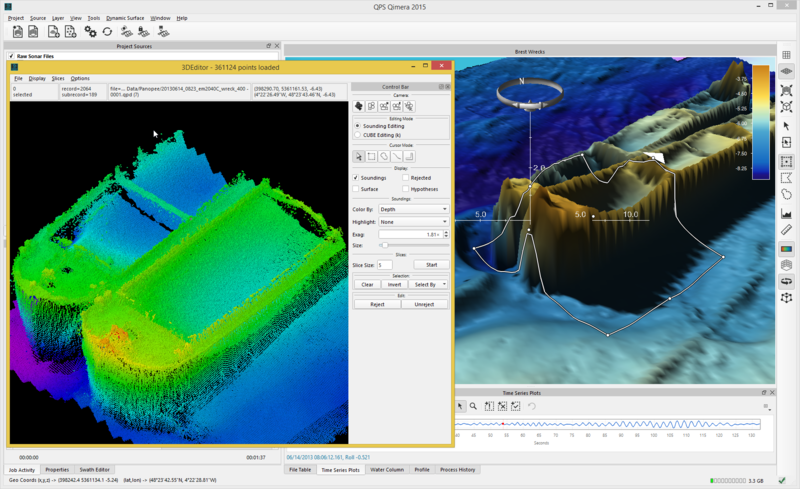 Now Take a Closer Look at your sonar, bathymetry and other data using the powerful software products from QPS. Radiation Tolerant Cameras --The AquaRAD® and the MegaRAD and the ColorRAD cameras. We have developed our own line of underwater radiation tolerant camera systems based on the revolutionary Charge Injection Device Radiation Hardened Imager (CIDRHI) Unlike CCD based imagers, these cameras can tolerate radiation total doses of up and beyond to 5 megaRAD (5 x 104 Gy silicon). Take a Closer Look at fuel rods, reactor components and vessel status with the AquaRAD Cameras. The ColorRAD and MegaRAD Cameras are a series of radiation tolerant cameras used in different types of radiation environments. These can be configured with radiation tolerant lenses, pan and tilt systems, and special housings to meet the demands of your most hostile environments. We are pleased to offer a comprehensive line instruments, cameras, and vehicles for a wide variety of scientific, industrial, and inspection applications. Now take a closer look at your most challenging underwater tasks with our ROVs, cameras, USBL underwater locations systems and sonar systems. Our GPS Intelligent Buoy (GIB) underwater positioning system helps you find your way underwater with your ROV, AUV or divers. Our new line of Kongsberg Contros underwater chemical analyzers: methane and other hydrocarbons, poly aromatic hydrocarbons, carbon dioxide, dissolved oxygen and other analyzers for subsea deployment, laboratory, or on-vessel at sea analysis. Our LYYN Visibility Enhancement Technology (V.E.T.). Visibility is enhanced (particularly the possibility to see colors, movement and contours) in fog, snow, dust, sand, darkness, etc as well as under water and in medical applications. V.E.T. works on digital images and video from normal cameras, but can also be used in processing saved material such as archived video tapes. The Nanofindertm is the world's most advanced Raman Microspectroscopy system, now with enhanced spatial resolution and high sensitivity. Winner of the Nuclear Energy Institute's prestigious "Top Industry Practice" aware, the InSITEtm Analyzer is a special remote probe spectroscopic instrument for NDE applications within nuclear powerplants. Now, Take a Closer Look at suspected primare and secondarey reactor coolant solution deposits in difficult to access locations without removing samples from containment. Neodymium:YAG Lasers, Harmonic Generators, Ti:Sapphire Laser Systems, Optical Parametric Oscillators, Semiconductor Lasers for Raman Spectroscopy. Symphotic TII is proud to partner with Lotis TII to offer a comprehensive line of Nd:YAG and Ti:Sapphire lasers. These are highly rugged designs with innovative optical layouts for ease of operation and high stability. We now offer a new 500 Hz DPSS Lotis TII. We have new high speed scanning Ti:Sapphire lasers and a special Ti:Sapphire laser for photo acoustic tomography. The Zeecom-3000 Zeta Potential Analyzer. Now measure zeta potential and observe electrophoresis, flocculation and settling of particles in real time.